ALM is our Single Sign-On solution for Cisco Unified Communications. Extension Mobility users don’t have to login manually anymore. If they start their laptop, the associated desktop phone is automatically loaded with their settings. The Call Forwarding Assistant simplifies call forwarding. Synchronize call forwarding with your laptop. When you work at your laptop, you’ll receive calls on your desktop phone. Once you close your laptop, calls are automatically redirected to your mobile. The Application Manager is a web-based console to manage profiles, users, features and licenses for RSconnect end-user applications. The Application Manager provides your IT staff with the necessary tools to efficiently manage large-scale deployments. The Analytics and Reporting Manager collects usage and configuration data from Unified Communications applications and the network. The reports and analytics help to improve or redesign your business architecture and operations. The Inventory Manager regularly scans the Cisco switches and dynamically builds a ‘map’ of the IP network and the connected devices (e.g. phones, computers, laptops, printers). 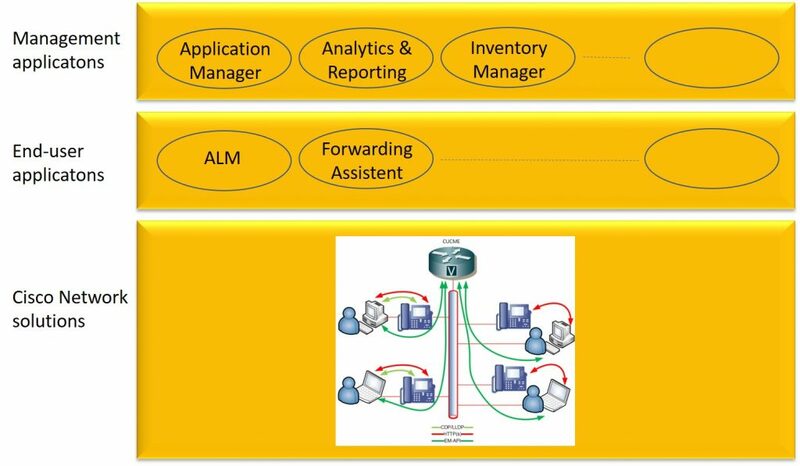 The inventory provides a sound baseline for customer-specific network management applications.